So, you’ve written an awesome blog post that provides lots of value…now what? How do you get it in front of the right eyes, and as many pairs of eyes as possible? Promoting your blog posts the right way is just as important as writing amazing content. After all, if no one sees your content, it’s all for nothing. 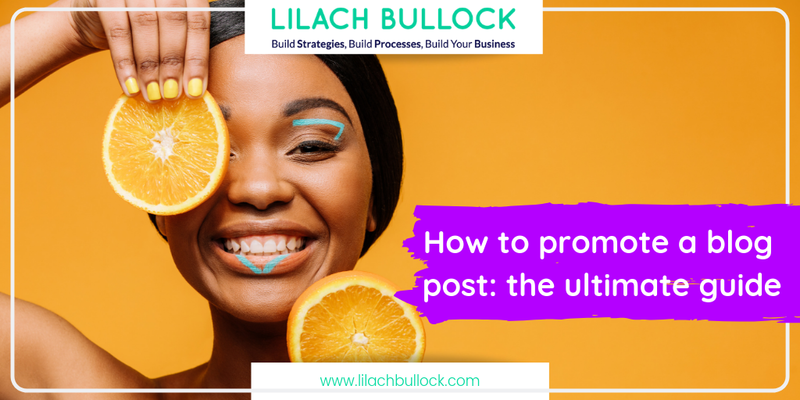 In this latest ultimate guide, I want to show you how to promote a blog post so that you generate traffic. Promoting a blog post the right way can take some time – in fact, it could take you hours of promoting for each blog post. That’s why you should try to plan and organise your promotional strategy. It will not only help you save time, but it will also help you make sure you don’t forget about promoting your posts on different websites and platforms. Create a document where you list all of the places where you want to promote your blog posts – then, you can refer to this document every time you publish a new blog post; or, even better, you can get a VA to help you, which could save you hours every week, depending on how often you publish new blog posts. In order to start driving content to your blog, you will first need amazing content that people will want to read or see. Is the content you are creating really driving traffic or is it just vanishing into cyberspace and being forgotten? When it comes to creating great content the title is important. It’s the headline that catches the attention of the reader and draws them in so that they want to read more of the content. Think about articles you read online: what attracts you to them? What keeps you reading? What makes you want to share something? Usually, it is the title that engages your attention first. Choosing the perfect headline for your post may take a few extra minutes of your time but it is time well spent if it earns you extra shares across social media. Your headline must call for a response from the reader. They must want to know more, or it must promise them that they will benefit in some way from reading your post. Sobering facts, right? That’s why you need to pay extra attention to your headline. Try writing headlines that are specific rather than general. Don’t write “Designing a website”, instead try How to design the perfect website. Headlines that start with something like “What is” and “how to” can work really well because these are also the way people would form their search engine queries. You should also try to make your headlines stand out with action-oriented verbs, like “Discover!” or “try”, as well as with compelling adjectives, like “amazing” or “life-changing”. Apart from the title why not take a look at producing different types of content? High-quality infographics always generate traffic, and videos can be another highly effective way of driving traffic. With video, you will need to think of a subject that you can cover well in a short space of time. The optimum length for a Facebook video is between 30 and 60 seconds. If you need to spend much more than that on your topic then you may need to rethink your topic, or perhaps come up with another way to deliver your information. One of the most effective ways of producing content that you know has already done well is to find a way to make it even better. Look for an existing viral blog post and work out how you can add to it, or reshape it for your audience. Building on an existing foundation that is a proven success gives you a head-start on driving traffic to your content. Another approach which can leverage existing viral content to your advantage is to write a curated post. Simply find your favourite 5 posts on a topic and write your own post which showcases these existing posts. Tell your readers what’s great about these posts, and why they should read them. This way, you can use other people’s content to drive traffic to your own website. 2, that the title is very eye-catching and attention-grabbing. By following these simple steps, you can be on your way to writing more effective content, and towards driving more traffic to your blog and business. Now, let’s get into all of the different ways of promoting your blog post – free and paid. Social media is one of the best sources of traffic for bloggers. It’s a perfect platform for building up your online profile, for making friends and fans and for building a loyal community of readers. 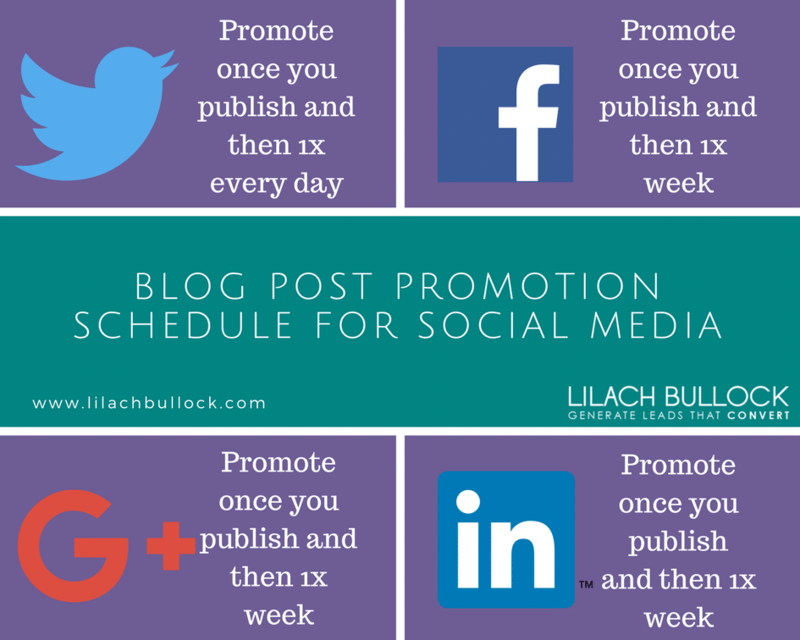 Every time you publish a new blog, make sure to promote it on all of your social media accounts. This should be the first step in promoting a blog post – it’s quick to do and it works. Today’s successful blogger needs to focus on creating as much evergreen content as possible– i.e. content that stands the test of time. If most of your blog posts become obsolete days or a few weeks after publishing them, you’re most likely going to struggle to keep traffic coming back; unless, of course, you’re publishing new content every day, even several times a day. That’s why you should try to only create content that will still be relevant months from the moment you publish so that every piece of content you write keep bringing back traffic, time and time again. All of your content should be promoted more than once on social media (as I mentioned earlier), but if you have evergreen content, then you can promote it more often, and for longer. Use a tool like Agorapulse and MeetEdgar to set up recurring promotional updates, so that your evergreen content is regularly re-published on social media. When using social media to promote your blog posts, you should always try to incorporate images. These will help attract more eyeballs to your update, and therefore more shares and more traffic, as well. Don’t forget about hashtags, either – they will help explain better what your blog post is about, and, more importantly, they will help you reach a larger audience, outside of your own circle of fans and followers. Finally, add social sharing buttons to your blog; use a tool like Social Warfare and you can increase the amounts of shares you get for your blog posts, as well as traffic. Not a promotional strategy exactly, but rather a way to get your readers to help promote your content. The social sharing buttons you use can have a very big impact on a number of shares your blog posts get. You should always make it easy as possible for your readers to share your content, so you should add social sharing buttons to the top and bottom of your blog posts, as well as have one that scrolls down with the reader as he/she reads the post. This way, if they’re liking your blog post, or simply want to comment on it on social media, they can easily do this by clicking on any of the social sharing buttons provided. Most major social networks allow you to ‘pin’ one of your posts at the top of your profile page: Facebook, Twitter, Google plus. Anyone who visits your profile will then see that post first, meaning you will be able to drive more traffic and get more engagement. Then, when you publish a new blog post, change the pinned update to the latest blog post. It only takes seconds of your time, and yet it can bring a big boost in results. Social media groups are another great way of promoting your blog posts. However, it does require care, as you can’t just link to your blog posts in different groups – you’ll most likely get banned from the group, or, at the very least, shunned as a spammer. Rather, you should try to be active in different, relevant social media groups and engage with other users as much as possible. LinkedIn and Facebook, in particular, are great for this; there is a plethora of all kinds of different groups in a variety of niches. The problem is, this can’t really be a reliable form of blog post promotion, simply because most groups don’t like it, so it will get you banned. It’s best to browse through groups that allow promotion – or, rather, groups that are created specifically to promote blog posts, kind of like a blogging community. Another option is to create your own Facebook group. It can be about your blog strictly – although this is best if you have a big, established blog with a big following – or it can be about something pertaining to your niche. Once you’ve created your group, start inviting your friends and fans and send an email broadcast to your subscribers to let them know – then, make sure to moderate the group regularly, share great content and try to get other members to actively engage. If your blog is focused on B2B, then LinkedIn has some of the best, most active groups where you can build connections and promote your blog posts. Use the “discover” feature for LinkedIn groups to get suggestions for groups that are relevant to you and start engaging once you find any good ones. Just like with Facebook, you also have the option of creating your own group. Quora can be an amazing source of traffic for your blog; not only that but in my experience, the traffic you get from Quora can be of extremely high-quality. Most of my Quora traffic spends over 5 minutes on my website and blog and they take action – which, at the end of the day, is more important than getting lots of traffic. After all, don’t we all want people to do more than just read a blog post? If you’re not familiar with the popular Q&A platform, it’s basically a sort of social network where people get to ask questions on a variety of subjects (literally, anything – personal, professional, it doesn’t matter) and users get to respond to these questions to the best of their ability. Quora has managed to remain quite popular for years now and the reason for that, I believe, is that people actually make the effort to post thoughtful informative answers. The ‘trick’ to getting traffic from Quora is to start posting the best possible answers – and linking to your own content for more information. Don’t write your answers just a means to link to your blog posts, though; focus on actually answering the question at hand and then, if it makes sense, link to your blog post so that anyone interested can get more detail on the subject. Focus on answering questions which were active recently, and that have lots of views. Or, if it’s a completely new question with no answers, all the better. As I mentioned earlier, make sure your answer provides real value – otherwise, people won’t read your answer and you might even get banned from Quora if it appears like you’re only using it for promotional purposes. Try to write short blog posts, of at least 300 words in length and, where possible, use visual aids such as screenshots, to help you make your point better. One of the best things about Quora is that these answers will continue to be read by people months, and even years later – so, it’s not just for driving traffic to your blog NOW, but rather of building up a steady stream of traffic that keeps giving, time and time again. I’ve talked about StumbleUpon before – it’s an amazing source of traffic and it can help make your best blog posts go viral. StumbleUpon is essentially a content discovery platform, where you can find great content, follow users and bookmark your favourite websites and articles. In order to start getting traffic from StumbleUpon, you first need high-quality content: preferably, educational posts, how-to guides and controversial posts. Try to add quality content and, as your profile grows, add more of your own, as well. 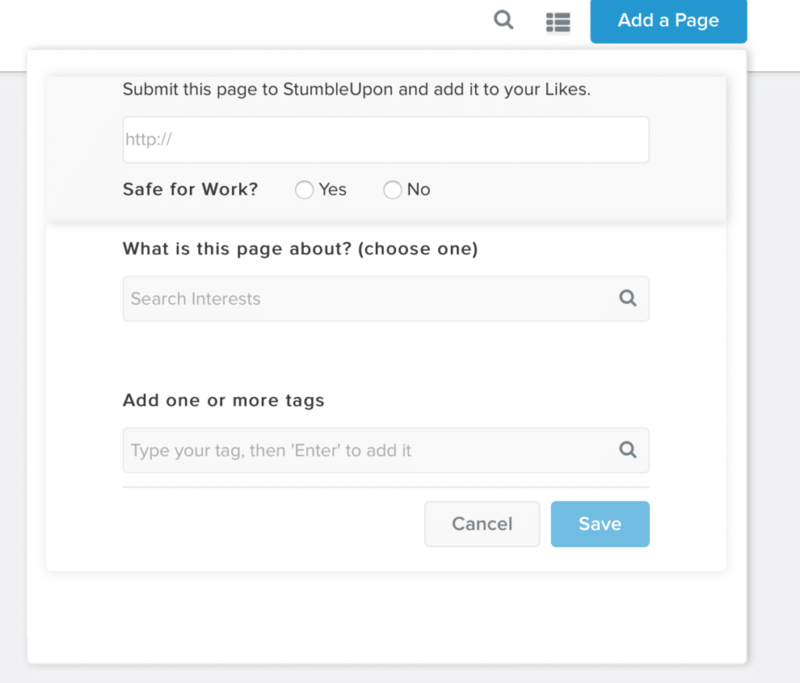 You should also add the “stumble” icon to your blog so that people can easily stumble your articles. You can read more about how to drive traffic from StumbleUpon in my ultimate guide here. Slideshare continues to be a great platform for promoting presentations, raising brand awareness and getting more traffic to a blog; in fact, the best, most popular presentations can get hundreds of thousands of views! When you write a new blog post, you could turn it into a presentation or an infographic which you then publish on SlideShare. This way, you’ll reach a larger audience and help drive more people to your blog. It’s definitely an effort – so you could just leave it for your best, most value-filled articles and guides which you know will likely get you more subscribers and more loyal readers. Influencer marketing is huge right now and I’ve definitely been talking about it quite a bit – it’s one of the best ways to promote and raise awareness of your business, plus it’s great for link building and for driving traffic to your blog and website. To start with influencer marketing, you first need to establish which influencers to target. You need to look into how engaged they are, what types of content they share, who their audience is and how relevant they are to your blog/business. Don’t focus on follower numbers – engagement is much more important in this particular case. As you can see from the screenshot above, you can see for every influencer what their website’s domain authority is, how engaged they are (retweet and reply ratio) and what kind of links they share. 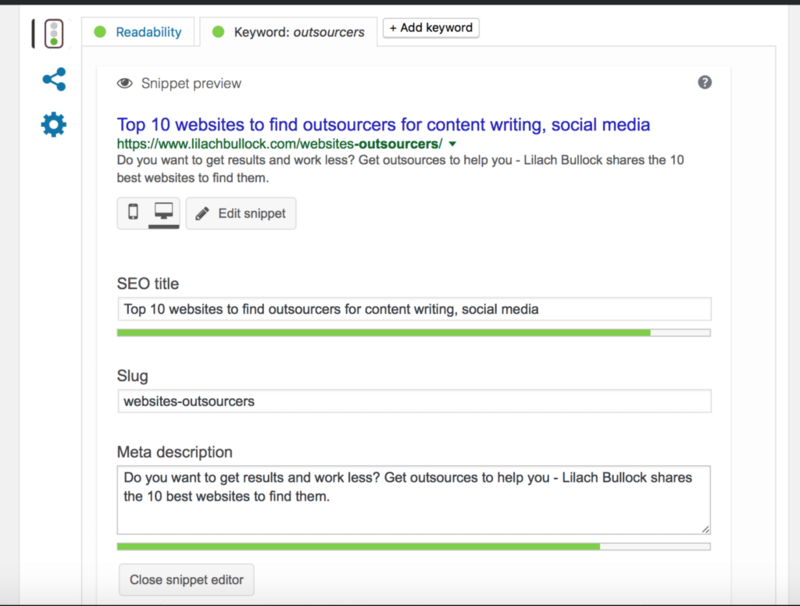 There are also all kinds of advanced search options, so you can focus on the best possible and most relevant influencers. Then, start engaging with them – on social media, on their blog and website and so on. These are very useful relationships to have, and they will also help later on when it comes to promoting your blog posts. There are multiple ways that you can use social influencers to promote a blog post. One of the ways is that you could mention them or one of their own articles in your blog post – and then let them know about it so that they can share. For example, you could be using an interesting study as the basis of your article; if that’s the case, then you should let the people who created the study know about it so that they can share your post as well. Or, you could simply mention an influencer directly, where relevant; an example of one of their campaigns, for example. Then, once again, let them know about being mentioned –more often than not if they like your article and the mention of them, they’re going to share it with their followers. You could also contact the influencer before you write up your blog post; for example, by asking them for a quote for your upcoming post. Link to their website and their social media accounts under the quote and once the post is published, let them know about it – since they willingly gave you a quote, they’re more likely to share it afterwards. This is where having a relationship with influencers comes in very handy; most get a lot of requests just like this one, on a daily basis, so if you want them to notice your particular request and actually respond to it, it can be of huge help if they know who you are, and even better, if they have a friendly relationship with you already. You don’t necessarily have to mention any influencers though, to be able to reach out to them for a share. It might not have the same success rate, but it’s still worth it; if you have a really good article that you think provides lots of value, you can still reach out to relevant influencers to let them know about it and encourage them to share. When you use Buzzsumo, as I mentioned earlier, you can see a list of the links an influencer has shared – use this to get a better idea of whether your blog post fits the influencers’ interests and other shares. Then, when you contact the influencer, let them know why you think this article would be of interest to them – you can reach out directly on social media, or send them a private message or email. Another way you can use social influencers to drive more traffic to your blog is to guest blog on theirs. You’ll usually be able to link to your website in your bio, as well as add some more links in your posts’ content to your other blog posts. It won’t drive a massive amount of traffic, but it also has the advantage of helping you build quality links for your SEO. Guest blogging is a great strategy for boosting awareness of your website/blog/business, for link building, for raising your own influence and authority and for driving traffic to your blog. This is not something that will work immediately; rather, it’s a long-term strategy, that will allow you to reap the rewards for months, and even years to come when you consider the SEO benefits and the effect it can have on your authority and influence. Start by gathering a list of potential websites where you could guest blog. You can easily use Google to search for “blog keywords + ”guest blogging guidelines” – this way, you’ll find any blogs that cover the subjects you’re writing about as well, that also allow for guest blogging. You should also check for any blogs you like or follow whether they accept blog posts or not. Create a list of at least 20-30 websites that would work and start contacting them about writing a guest post – make sure though that you read their guidelines beforehand, as there could be guidelines for the pitch and some websites want the blog post first. Then, when you write the blog post, link to some of your own posts, but only where completely relevant. Most guidelines will tell you whether they allow this or not, so once again, check before pitching your idea/blog post or starting to write it. Have you created an expert round-up using relevant influencers from your niche? This can present a great opportunity to get lots of shares for your blog posts and it will also help you get on the radar of influencers. While this is not a promotional strategy per se, for any blog post, it’s a good idea to plan the occasional expert round-up, as it will help you reach a larger audience for your blog – and, if your blog is good enough, they could be coming back for more. First, start by thinking of the question/s you want to ask influencers in your round-up. Influencers get a lot of requests like this on a daily basis, so it needs to be a good question, preferably one that hasn’t been covered before, by others. Then, create a list of relevant influencers you want to target – the more, the better, as a percentage of them will not reply to your request – about 30-40 influencers should be enough to start you off, but it depends on how long you want your post to be. I’ve already explained earlier how to search for relevant influencers; when the outreach starts, you can use a tool like Buzzstream to reach out to them, faster – as well as to research and find more influencers. Buzzstream will find their contact information if it’s available, and then you can use it to send the same template email to as many influencers as you want, in a fraction of the time it would take you sending emails the regular way. As people start saying yes to your request, make sure to update your template outreach email to reflect that; mention which influencers have already said yes, as this will provide an incentive to other influencers to take part as well. Once the post is finished, email everyone who participated to let them know. Give them the link and tell them to share – they definitely will as, after all, they are mentioned in the post, so they’ll want people to see it. When it comes to promotional tools, your subscriber list is one of the most effective tools you could have in your arsenal. To drive more traffic to your blog posts, create a weekly round-up email of your best content that you then send your list – it’s a great way to ensure you’re consistently getting traffic to your blog, plus it will help nurture the leads in your list and build up their trust. If you have a great piece of content that you want to promote to your list, send them an email broadcast detailing why they should read the article – it’s a great way of getting traffic and shares quickly. 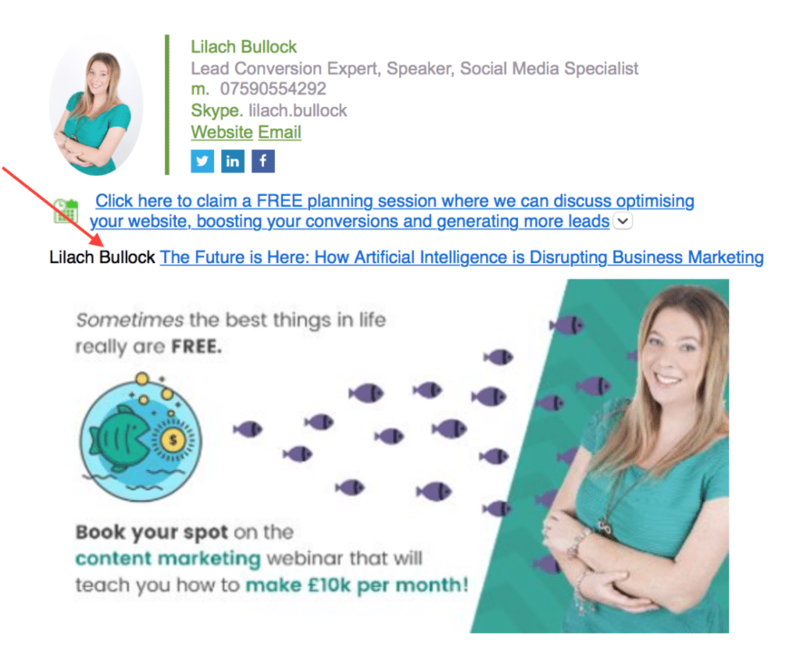 Personally, I always see a big rise in traffic in the hours after sending these types of emails – make sure to test the best times to send emails, and experiment with different headlines to see which ones get you the most traffic back. You can read more about how to use email marketing to your advantage in my ultimate guide here. Using a professional email signature will make your emails (and yourself) look more…well, professional! There are a lot of different signature tools that you can use, including your email providers’ own signature feature, but I prefer using Wisestamp, as they have beautiful templates to choose from. This way, you’re reaching more than just your email list with your blog post link. Industry forums can also be a great source of traffic. Similarly to social media groups, though, you shouldn’t use forums just to promote your content; it will only get you banned, in the end. You need to build up your profile first, before you start linking to your own posts, by showing that you can be a valued member of the community. Find questions that you can answer, conversations that you can join, and as your profile grows and you’ve built relationships with other users from the forum, you can also start occasionally sharing your content – only do it where completely relevant, though! Make sure to also check if you’re allowed to create a signature – that’s where the best traffic is. You can link to your blog/website or one of your best posts in that signature, and it can become a great source of traffic as your profile grows in the community. Traffic Planet – check them out and start engaging! Reddit is one of the main hubs of the Internet world; this is where the most popular news, articles, images, memes and so on are made. Whatever gets on the Reddit first page is sure to become known worldwide. Once you join Reddit and start participating, you should first focus on sharing awesome content – other people’s awesome content. As you grow and become known in the sub-reddit, you can start posting some of your own content, which will then be voted on by other users. The more up-votes it gets, the higher up it will appear on the first page – which then means, more eyeballs on your content and more traffic. Reddit is a very tight-knit community, similar to forums in a way. You can’t just self-promote or you’ll be banned or simply ignored. But, on the other hand, if you constantly post great content, it can become a great source of traffic for your blog. My connections can then click on the arrow and go directly to my link. So quick, easy and highly efficient –it might not drive tonnes of traffic, but since it only takes a few seconds of your time, it’s very much worth it. Blogging communities are amazing traffic tools for bloggers; it doesn’t require too much of your time and it can also help drive a lot of traffic to your blog. Blogging communities are essentially social networks, only for bloggers. Bloggers use these communities to connect with other bloggers and engage, but also so that they can drive traffic to their blogs. Triberr is one of the most popular blogging communities around; essentialy, it’s a social network for bloggers, where they can group in to so-called ‘tribes’, united by the same passion. So, if you write about digital marketing, you’d need to find a digital marketing tribe, and so on. Then, the bloggers in all the different tribes share their content so that the others can like it, share it with their own fans, comment on it and so on. 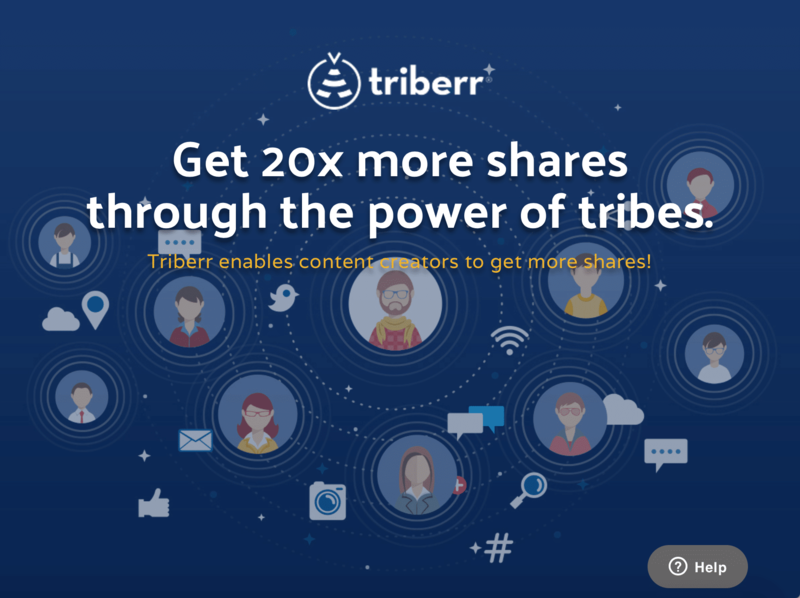 It’s a great place not just for boosting your social media shares and your traffic (as you can see above, Triberr claims it can get you 20% more shares – and they’re not lying! ), but it’s also a great way of meeting other, similar bloggers, and building valuable relationships with them. Social media can be a very powerful promotional tool and an amazing source of traffic, but what can you do when you’re not getting the retweets and shares you were hoping for? Luckily, there is a tool/service that can help you with that. All you need to get started is great content and an account. ViralContentBee then helps share your content; you’ll see new retweets of your content hour by hour, helping you increase your traffic by as much as 200%. Bloggers will often help each other; it’s a tight-knit community, united by the desire to be successful – and the everyday struggle to achieve and maintain success as a blogger or content creator. CoPromote is a content creators’ network, where the creators are freely helping to share other people’s content across different social networks. It works pretty much on ‘you scratch my back, I’ll scratch yours’ basis; only, the ‘scratching’ is a strategic share of your content to the right audience. Then, keep an eye out on those who got you the most shares, traffic or engagement – you can attempt to have them share your content in the future as well. Oh, and it’s free to join this network! Inbound.org is a community for marketers, where they can have conversations with other marketers, discuss everything about online and inbound marketing and share amazing content. You can use the platform to ask any question you might have about online marketing, or to start a discussion; or, you can share and link to useful articles that you think the other community members would like to see. Every time you share a post, you should write an introduction or summary for it, so that people know why they should read it. Inbound allows you to share your own content – but they do ask that you share no more than 50% of your own content, and that you provide content from a variety of sources. If you want to join the Inbound community, don’t forget to check the guidelines before you start posting – just like forums and other bloggers communities, there are some rules you need to respect. On Amplify Blog, you can easily submit your content (or, rather, a short introduction to your blog post) and link back to your blog/website. Once you create an account, you can start submitting content: write the title of your article, a couple of sentences about what it is and then include the link to your website/blog at the end of the article’s title so that whenever someone clicks on it, they go directly there. Klinkk is pretty much a blogging community where bloggers can connect and network with others, as well as share and promote their blogs and websites. Try to take the time to engage with other users, and you can start posting your latest articles freely. It’s quite easy to do; just write a short paragraph as an introduction, and then link to your article – when a user clicks on your featured image or headline, they will be directed to your website. You can also up-vote/down-vote on Klinkk – meaning, the more up-votes a post gets, the higher up it will appear on the home page. Snapzu is a blogging community that is broken up into all kinds of unique, smaller communities that are managed by users. Quite similar to Reddit in that respect, and its sub-reddits. All you need to do is create an account, find appropriate communities where your content will fit, and start sharing. Like with most services and networks of this kind, it’s best to diversify the content you post, particular the source of that content. Snapzu works on an up-vote and down-vote method; work at creating and sharing amazing content to get on the first page and have as many people as possible see your post. Dashburst is a social network of sorts, a place where you can connect with artists, photographers, bloggers and the like and where you can share awesome content. You can publish any type of content you want, and you can even schedule or queue content to be automatically published to Dashburst. You can also use so-called Boards to curate your content, as well as to keep track of other great content that you can then share on your social media. BizSugar is another platform where you can share your best content. You can share content on marketing, finance, management, technology and start-ups, so if you have a blog covering any of these subject, you’re in the right place. Post your news and your articles and then the other users will be able to vote and comment on them, as well as tweet them out or like them on Facebook. As people vote, you will get more ‘sugar’ and your post will appear higher up on the home page of popular news stories. JustRetweet is a very useful tool that helps you get more retweets for your posts. The way it works is quite simple: once you’ve signed up for the service and linked your Twitter account, you’ll get 100 bonus credits. Then, post the tweets you want to promote and assign credits to them – every time a member retweets or likes your tweet, they earn more credits. Because of this, the more credits you assign to your message, the more people will retweet it. It’s a simple, easy, quick and highly efficient way of driving more retweets and improving your reach, in minutes. Flipboard is a very popular content curation tool, but it’s less known that it can also be used for content amplification. Give your magazine a name and a description, then start adding top sources of articles to your magazine-including yours, of course. The goal here is to get people to follow your magazine, so you’ll need to be active and follow other users and magazines and leave comments. You can kill two birds with one stone and use it as a source for great content, and in the process of looking for content, leave some comments here are there. As your magazine grows, you’ll be able to drive quite a bit of traffic to your blog or website, as Flipboard is very popular with people with all kinds of interests. Pocket is an incredibly useful little tool and a very popular one at that – its main use is for people who want to save content they like online to be read later. Basically, whenever you encounter a video, article and whatever other type of content, you can add it to your ‘pocket’ and read it or see it later on your desktop, on your smartphone or on your tablet. Now, Pocket also have the “explore” feature, in beta. Here, you can explore the most popular content saved in people’s pockets, or browse through different categories, as well as the trending section, where the most popular articles are. So, if you want your post to appear here, start pocketing it. And don’t forget to get the Pocket social sharing button for your website so that anyone who wants to read your blog post later, they can easily save it to their pocket – you can get the button code here. Sniply is a very ingenious little tool that allows you to add a call to action to every link you share. The best way to use it, is to add a link to your blog as your call to action – this way, you’ll start winning new traffic every time you share a link to someone else’s website or blog. The CTA will appear at the bottom of the screen and the person who clicked on your shared link will be clearly able to see it. Sniply then tracks any interaction with your call to action/link, so that you can see how many clicked and how many conversions you made so that you can track your return on investment. Quuu is a content curation tool that busy marketers can use to the best, most relevant content to share with their audiences. Quuu Promote, on the other hand, helps you drive traffic to your blog posts in a highly effective way. What the tool does, is it shares your content across social media – Facebook, Twitter, LinkedIn and Google plus – by using actual, real people, who have the right target audience for your post. With just $10, you could reach over 10k people and get dozens of new shares on your blog post – which will further increase your reach. Using social media ads can help you get more traffic from social media, quicker. And if you’re promoting the right content (the best, basically! ), you could also drive more conversions from these ads. Let’s now start with how to use Twitter Ads to drive traffic to your blog. Then, go through your different targeting options, set your campaign budget and so on. At the end, you can choose to promote an existing tweet or create a new one. Make sure it has a clear call to action and the link to your post – use the opportunity to try to convince people why the need to read your blog post. Track the success of your ad every step of the way, so that you can then optimise it. 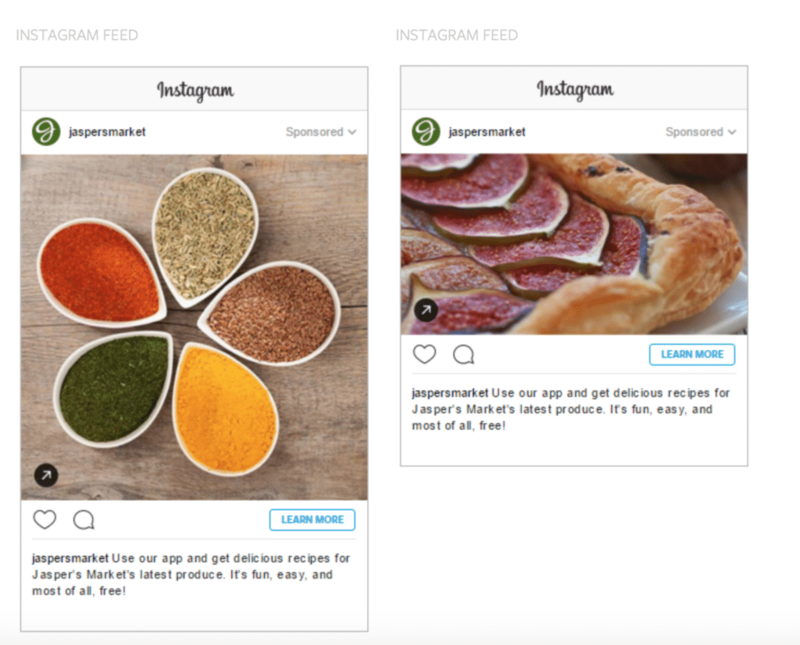 The best way to determine what the best ads are is to test different ads to see how they perform. You can then use this knowledge to optimise and improve your future ads. You can read more about Twitter Ads, all the different types of ads and best practices in my beginner’s guide to Twitter Ads here. 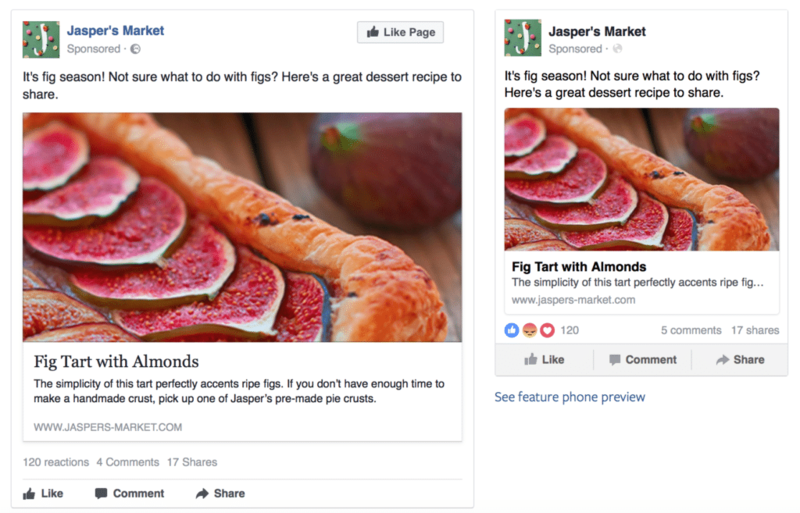 Reaching people on Facebook the organic way is easier said than done; ads, however, can help you reach a large audience, quickly, and drive more traffic to your blog, as well as attract more fans and engagement on your posts. Another good option for Facebook users is to boost your posts. If you want to promote a blog post and make sure it reaches a large audience on Facebook (or Instagram) use the boost post feature: basically, your post which would normally find difficulties in appearing in newsfeeds, will now appear high up in your audiences’ newsfeeds. Find the post you want to boost, and then you’ll see a blue “boost post” option in the bottom right corner. 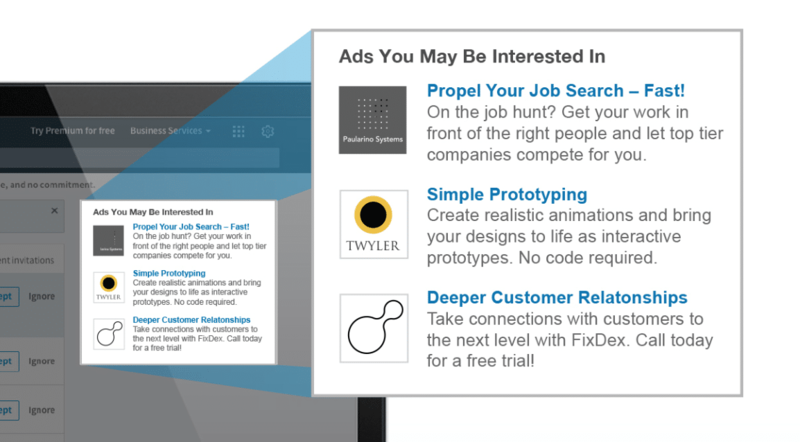 LinkedIn Ads are another great option, especially if you have a B2B blog. And the best part is you can get £50 worth of LinkedIn ad credits if you provide your information here. These ads, however, are more appropriate for advertising your website and your services – sponsored content is the best way to go for promoting your actual blog posts. I’ve already mentioned StumbleUpon for the great source of traffic that it is, but, if you want to get a lot of traffic, quickly, or you have an amazing piece of content that you want to push, use StumbleUpon ads – they are incredibly effective and what’s great about them is that your content is the actual ad. Your content/ad will be seen by your target audience as a full-page article ad, so you can drive a lot of traffic by using it. While SEO is not necessarily a content promotion tool, in the strictest sense, when you get optimisation right, it will mean more traffic for your blog, consistently. The higher up you appear in search engines, the more traffic you will get. Make sure to also check out my ultimate guide to SEO for beginners – everything you need to know about getting started with SEO is in there, in detail. You know when you read a blog post or article online and, at the end, you get a list of other article suggestions that ‘you may like’? 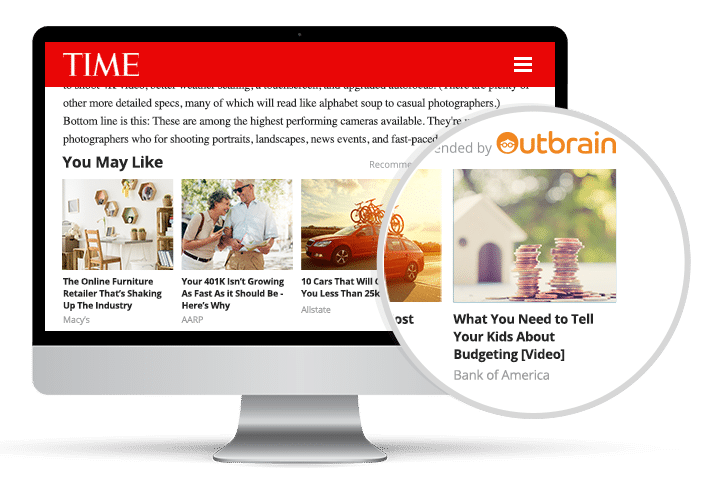 By using Outbrain, you too can get your articles as suggestions on some of the biggest, most popular websites in the world, like Time, People, CNN and ESPN. These are all huge websites, that get a lot of traffic and a lot of loyal traffic at that – so, getting your posts on these websites can mean a massive boost in your own traffic. No one tells you this before you start blogging, but promoting your blog posts is not as easy as posting a few links here and there. However, once you get into the habit of promoting your blog posts on the right platforms, it will get much easier; it’s just a question of knowing what the best traffic sources are and capitalising on them. The best way to simplify the entire content amplification process is to create a system: grab the free checklist that you can get with this guide and you can use it every time you promote a blog post to make sure you’ve promoted it everywhere that needs promoting. Then, look at your traffic – what sources bring in the most traffic? And, even better, which ones have the highest-quality traffic? Which sources bring the visitors that spend the most time on your blog or website, and those visitors that take action? Once you know that, you’ll be clear on which traffic sources and content promotion activities to focus on for better results. Your content deserves the widest audience possible. Broadcast your message to the masses by utilising my content amplification service. Create something beautiful and I’ll use my network to share it with the world. You create it. I’ll amplify it. Lilach, wow you outdid yourself on this one! I love the email signature, I ‘d love to more on that one. How did you do it? I have found Flipboard to be a huge traffic driver for me. Quora not so much even though I’ve spent more time on there of late. I do like their site a lot. It’s amazing how much time we must spend promoting our posts after we hit that publish button. More than we spend on creating the post itself most of the time! Thanks for sharing all these wonderful tips with us Lilach. Thanks a lot for sharing all those platforms to generate traffic. But one thing that I have noticed of stumbleUpon is that it often increases your bounce rate. People on stumbleUpon are tend to just hit the stumble button. The find something useful in your share, they read it and just move back to stumbleUpon. So I won’t really recommend using stumbleUpon a lot unless you have written some really AMAZING and VISUALLY soothing content. Thanks Muhammad 🙂 Yes, it can cause a high bounce rate. It’s important that when analysing your traffic you focus on performance rather than volume. Creating goals in Google Analytics can help you identify your best performing traffic sources. And it goes without say that all content should be of a high quality, it tends to have a low bounce rate if not. 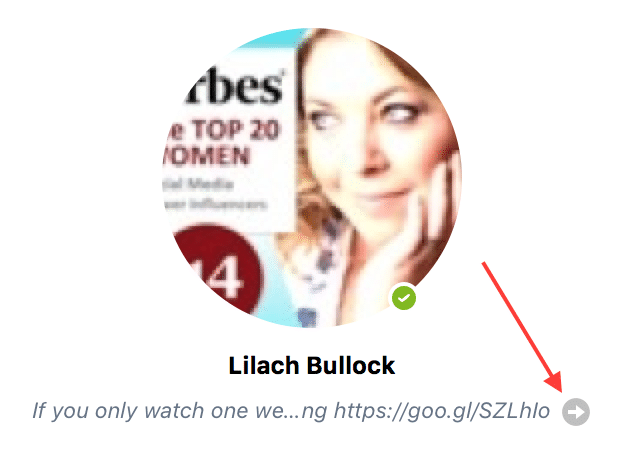 Thank you Lilach, this is an amazing amount of information for bloggers. Re the comment above, I read that writing the blog is the smallest part, and that we ought to promote or market a lot! I will be having a look at some of the suggestions that I didn’t know about, so thanks. Thanks Lynne 🙂 Very true. There is far too much focus on creating content – which of course is only a small part of the jigsaw. Without the missing pieces, i.e. promotion you just don’t get the targeted eyeballs… and the results. Just wow. What an amazing post – I am already implementing the *many* things I simply haven’t done. I can’t wait to see how this helps. Thank you so much for an intelligent, thorough and practical post. Super informative, as always – thanks so much! Brilliant list of sites. I am using some of them like Quora, forums, reddit etc. These sites are really very helpful to drive traffic to your blog. Social Media is one of the best way to increase traffic as well as helps me to increase my networking and help me connect with like minded people. Thanks again for this beautiful post. 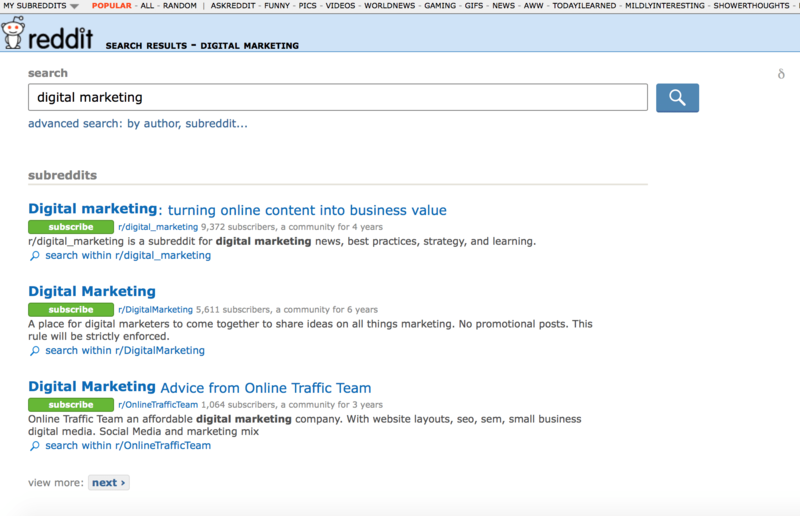 I have gone through so many posts on boosting traffic but yours is unique and interesting. That’s always my goal:) Thanks for the comment, glad you liked the post! I haven’t heard of Sniply, flipboard or pocket so will check these out. Thanks and I will share this on Pinterest also. Hi Mark, thanks for your comment and for sharing, glad you liked the post:) I love those 3 tools, so I would definitely recommend checking them out. So glad I found this article, checked out Sniply and getting some good results. Wow! Awesome post. This post is great. Promoting blog post tips are awesome. thank you. Hi Lilach! I see that we have a lot in common with each other – we use the same ways to promote a blog! 🙂 I think that social media and websites like Quora or Reddit are powerful and really bring people to online content. Meanwhile, thank you for the great article with many useful tips! Thanks Paulina 🙂 Ha! Great to see 😀 I love Quora, great for driving quality traffic! Mobile apps are great, although can be annoying for the user (especially when they want to unsubscribe). But a great way to drive traffic! Listing websites are helpful for me. Thanks for sharing. Thanks for all the great sources to promote my content on. You’ve given me lots to work on, thanks. <— not sarcasm! First of all I would say it is a great post.Thank you for you effort and time that you give to this post. Thank you so much for sharing such a lot of information at one go! I use some of the strategies you pointed out in this great list. I work on roundup posts, and blog comments. It brings in lot of traffic. The including para shout-out loud! I am bookmarking it for my further read. Thank you 🙂 Delighted you found it helpful! Great way to promote methods to promote blog. i’ll definitely try these steps to increase my blog traffic. Thanks a lot for these steps. on this subject. Well together with your permission allow me to grab your RSS feed to keep updated with impending post.